Little has ever really happened in Castel Di Sangro. A small village deep in Italy’s Abruzzo region, and mainly forgotten by the rest of the country, it is now best-known as a transit point on the way to the Adriatic Sea. In the 1990s, however, it made the headlines for something else: its football. A.S.D Castel Di Sangro were formed in 1953 as the town attempted to move on from the destruction caused during World War II. They started in the ninth and lowest division of the Italian footballing pyramid, the Terza Categoria. It took them 30 years from that point to make it to the Seconda Categoria, in 1983. After all, Castel Di Sangro is a town of just 5,000 people in one of Italy’s most impoverished regions. Success has never been expected. The promotion itself almost put the club out of business. Playing in a higher league meant higher wages, increasing fees and a distinct need of more professional equipment, something which Di Sangro lacked in abundance. The saviour was Pietro Rezza, a man from the region who had made his fortune in Naples. He was not the hero one would expect. His money, it is believed (although never proven), had been amassed through dealings with the Neapolitan Camorra, Naples’ answer to the Mafia of Sicily. The club itself was left to be run by his niece’s husband, Gabriele Gravina. Gravina, it seemed, along with the backing of Rezza, had the Midas touch. Two years later, the club earned another promotion, this time to the Prima Categoria. They carried on moving up through the leagues, despite working on a shoestring budget, before somehow making it to Serie C2, the fourth tier and the first to be somewhat professional. Even this was a huge achievement: most teams came from towns with populations sometimes 20 times bigger than that of Castel Di Sangro. And the difference was clear for all to see. Di Sangro were clearly punching above their weight. However, staring relegation down the barrel, Gravina made one of the best decisions throughout his tenure, bringing in Osvaldo Jaconi as manager. Not that it appeared an inspired move at the time. Jaconi was little more than a journeyman manager, who valued commitment and desire far more than actual footballing ability. As per “The Miracle of Castel Di Sangro”, written by American author Joe McGiniss, Jaconi knew one word in English: bulldozer. It described himself and his footballing philosophy perfectly. 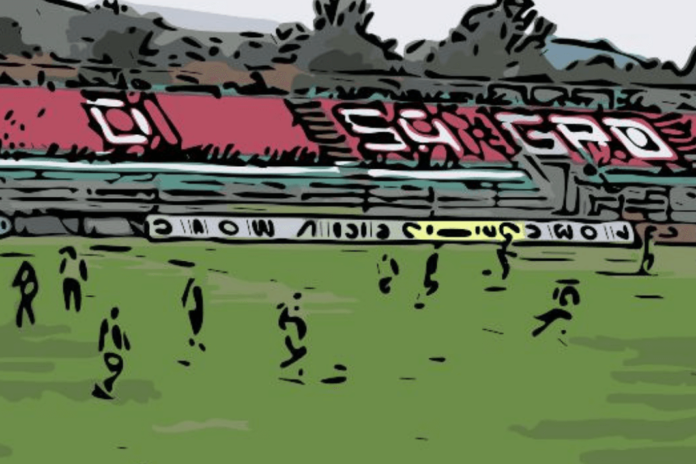 Penniless, out of their depth and now with a manager who had never managed above Serie C, Di Sangro seemed doomed to go the same way from which they had come. This is when the Miracle of Di Sangro truly started. Jaconi somehow saved his new side from the drop in 1993 and then, even more astonishingly, he guided them to Serie C1 the following year. C2 was professional, yes, but it was still at times unorganized. C1 was truly something else. It was the true beginning of professional football in Italy. Teams who had previously played in Serie A played in the division. Jaconi and his misfits had no chance. By now, however, you will have understood that this story produces the unexpected. Defying all expectations, including their own, they finished 2nd, making it to a semi-final play-off game. The first leg was narrowly won by their opponents, Gualdo, and with the score still at 0-0 with less than half a minute to go in the return match, it seemed the fairytale would at least stall. Then, Jaconi made a truly bizarre substitution. Instead of bringing on a striker, he instead threw on a defender who had yet to score in the whole 1995-96 campaign. It worked a treat: the defender scored just seven seconds later to level it up for Castel Di Sangro, who advanced to the final play-off match having finished higher in the league. Ascoli were the side who awaited them. This was a club who had played in Serie A against the likes of Juventus and AC Milan just six years before. They had beaten Di Sangro twice in the league already before this final meeting. The Abruzzo side would once again be overwhelming underdogs. During the 120 minutes of the single match, however, they kept their opponents out. It was a tedious affair, although this is exactly what Jaconi had planned. The match was ebbing towards the penalty shootout, with Castel Di Sangro’s goalkeeper Roberto Di Julius one of the few players in the side who would not look out of place at a higher level. Once again, however, Jaconi came up with a bemusing idea. Pietro Spinosa, the 34-year-old reserve goalkeeper who had not seen a single minute of action throughout the whole season, was thrown into the fray, replacing a Di Julius who left the field in tears. By luck or by crook, Jaconi had got it right again. In sudden death of the penalty shootout, Spinosa made an astounding save to win the match. The impossible had happened, the “miracle of miracles” as one paper called it. Little Castel Di Sangro, from the depths of the Italian countryside, were going to play in Serie B. Di Sangro had already played against former Serie A sides in the previous season but, once again, Serie B would be something almost none of their players had ever experienced before. They would face Italian giants such as Torino and Genoa. To stay in the division, the Miracle would need a lot more chapters. Away from the actual football, Di Sangro were now truly lightyears behind the rest of their opponents. Serie B requires a certain level of facilities from its stadia. The Stadio Teofilo Patini, it seemed, had almost none to speak of in the first place. The stadium needed a facelift. The construction, however, did not seem as pressing for Gravina and Rezza. It was not completed until December of 1996 after the club had already played 4 months of the season, and when it was finally ready to host football matches, the first game was called off due to severe weather and the incorrect use of fertilizer, which had made the pitch unplayable. The 1996-97 season promised to be an unforgettable ride for everyone involved with the club. In the end, it was, but not in the ways many expected. What actually occurred was nothing short of farcical, even if it all adds to a truly one-of-a-kind story. In December, a tragic event occurred. Two of the team’s players, Danilo Di Vicenzo and Pippo Biondi perished in a car crash. They were two of the club’s younger players. It was a huge blow to the club and its community. There were many damaging incidents throughout the season, but the others were brought on only by the protagonists themselves. Firstly, with Castel Di Sangro in need of some quality players, Gravina went about finding some talent who would be crazy enough to join this bunch of cast-offs and dreamers. Incredibly, Joseph Addo, the captain of the Ghanaian national football team and formerly of Bundesliga side Eintracht Frankfurt, agreed to a transfer. He was clearly a cut above anything else Jaconi had at his disposal. Yet, for some reason, the bewildering manager refused to take him. Addo, in disbelief, went on to join Sparta Rotterdam of the Netherlands. Gravina did bring in one star name, or at least a player who had played at the highest level. Robert Ponnick had an impressive résumé, being a Nigerian international who had played in the prestigious Premier League with Leicester City. He was presented to the fans and the press in an exhibition game, the first match to be played at the finally rebuilt stadium. The game, however, was a disaster. The press conference beforehand was questionable, with the Nigerian making some outlandish statements in regards to his quality. But Ponnick, it seemed, was even more out of his depth than the players he was surrounded by. After some abysmal football, the new addition then got into a fight with one of his teammates, leaving the pitch in disgrace having been sent off. Castel Di Sangro had been sold a lie. It turned out it was just that. After the 90 minutes, Ponnick revealed his true self: he was nor, and had never been, a professional footballer. He was an actor from London, who had been asked by Gravina to come to the club in order to create some publicity in an incredibly bizarre stunt. It worked, but not as Gravina had expected. The reaction was overridingly negative, with the boss accused of bringing his team, his town and even football into disrepute. With the club in need of extra players, the last thing they needed was to lose the ones they already had. But, at the beginning of 1997, Gigi Prete was made unavailable in even more incredible circumstances, as he was arrested in connection with a drug smuggling ring, along with his wife. He was eventually acquitted, but not after being detained for 22 weeks. Gravina had apparently brought him to the club knowing of the potential criminal activities. When the news broke about Prete’s alleged involvement, his friend Giacomo Galli was suddenly submitted to hospital after being injected with a dirty needle. He was close to death but ultimately recovered and survived. Rumours had it that Gravina was behind the “accident” in order to keep Galli quiet. These were never backed up by any proof. And yet, despite all of these unbelievable stories developing away from the field, Di Sangro were holding their own on it. They had won 11 matches by the second to last matchday, with Massimo Lotti, the new goalkeeper, almost impenetrable whilst Gionatha Spinesi (on loan from Inter Milan) and Giacomo Bonomi scored the vital goals to give them hope of survival. Not that they scored many: Jaconi’s outfit had become renowned for their defensive sturdiness, which may have made Di Sangro hard to beat, but also made them incredibly dour to watch. On the penultimate matchday, they needed a victory against Pescara to secure their Serie B status for another year, with their opponents themselves fighting for promotion to Serie A. As they had done when beating Torino and Genoa – their only win away from home all season – Di Sangro upset the odds to win 2-1. The footballing world was speechless: somehow, Castel Di Sangro would live to fight another day. The controversy was still not over, however. Or at least, according to McGiniss in his book. Before the final game of the season, which for Castel Di Sangro was nothing more than a dead-rubber, he claims to have overheard the players talking about the match against Bari, who needed to score three goals and win to get promoted. It appeared that the nucleus of the squad had been in contact with their upcoming opponents and had agreed to throw the match in exchange for a tidy sum. Bari would end up winning the match 3-1 and, although the allegations made by the author were never proven, the Calciopoli scandal 10 years later shows us that these kind of deals were rife in the past in Italian football. This is where the miracle of Castel Di Sangro ended. 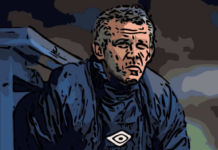 The following campaign, they suffered a severe case of second season-syndrome, brought on in part by the sale of many of the side’s star performers. Jaconi was also sacked halfway through the season, and Di Sangro would end the season dead-last, picking up just 5 victories and 30 points along the way. 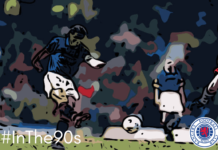 They did make some more headlines in 1999 when they made the Coppa Italia quarter-finals before losing to Inter Milan, but they were never to reach the same heights again. Just six years later in 2005, the club went bust, although a new club was formed the same year. They currently play in the lower divisions of Italian football. In regards to the main protagonists, little has been heard of them since the Miracle. Other than Gabriele Gravina, that is. The scandals seemed to have done his career no harm. After leaving Castel Di Sangro in 2002, he went on to become President of Serie C. He was also involved with the Italian national U-21 team before being voted President of the Italian Football League. Then, just last year, he reached the pinnacle of his profession: astonishingly, Gravina is the current president of the Italian Football Association, the governing body of all things Italian football. Even now, more than 20 years later, Castel Di Sangro have some involvement in today’s headlines. And it is perhaps the last chapter of one of the greatest and most bizarre tales in lower-league football anywhere on the planet. Despite an unusual abundance of controversies, for a while, the men from the Abruzzo muscled their way into the upper echelons of Calcio, taking part in an incredulous journey that, should it have been pitched in a Hollywood studio, would have been laughed out of the door. Reality, sometimes, is stranger than fiction. Ron Atkinson Revisited: A Debt Owed?